A regulatory framework for security tokens has been issued by the US Securities and Exchange Commission after a year in progress. The US Securities and Exchange Commission (SEC) published its guidance framework for security token issuance on Wednesday (April 3). It describes how security tokens can qualify for a security token offering. After over a year in the pipeline, the framework details many features that fall under the Howey Test. The US Supreme Court’s Howey Test, a case from 1946, includes four core criteria to determine if a product is an investment contract. The SEC framework essentially details and further elaborates on the primary criteria derived from the Howey Test, in this case, within the context of digital assets. “The framework is not intended to be an exhaustive overview of the law, but rather, an analytical tool to help market participants assess whether the federal securities laws apply to the offer, sale, or resale of a particular digital asset,” the regulatory agency said in a statement. The SEC says that the framework applies to entities that do things such as facilitate exchanges, store or hold digital assets, offer or distribute digital assets or provide financial management. In terms of the framework’s objectives, the paper says it aims to protect investors from misinformation from a company and guide companies in producing complete and accurate information for investors. “This requirement for disclosure furthers the federal securities laws’ goal of providing investors with the information necessary to make informed investment decisions,” the SEC notes. The central points of the guidelines include the digital asset being exchanged for value, a common enterprise existing (where often investors pool their funds together into this business venture) and a reasonable expectation for the investor to make a profit. For a digital asset to fall under federal securities laws, there are a number of additional requirements, including that the digital asset is fully operational and that investors can immediately use it upon purchase. In the context of virtual currencies, the framework also outlines that the currency should be readily able to make payments for a number of different items and services. Furthermore, the payment must be done without having to exchange the virtual currency into another digital asset or national currency before making the purchase. Additionally, the virtual currency must be a store of value that is able to be saved, retrieved and exchanged at a later time. In order to be compliant with the SEC, some companies are shifting from issuing initial coin offerings to security token offerings (STOs), which operate in legal gray areas. 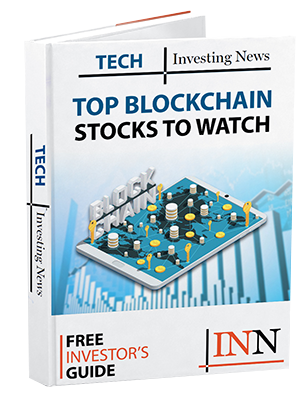 In over two years, STOs have jumped from just two offerings in 2017 to 25 offerings in 2018, Bloomberg notes. Desico, a platform for trading tokenized securities, announced that it issued a European Union compliant STO in November 2018. In January, biotech company Agenus (NASDAQ:AGEN) announced plans to launch a US$100 million STO. STOs are permissible for accredited investors. They fall under the Securities Act of 1933, and must be in accordance to know-your-client and anti-money-laundering regulations. Although the framework is not a legally binding document, it will serve as a formative guideline for prospective and existing token issuers going forward. If you are selling security tokens (i.e. an STO rather than the ICO referenced in the framework document) you have already established that a security is involved. The framework the SEC has published is intended to help establish whether an asset such as a utility token should be considered a security and thereby a better candidate for an STO than an ICO.